Our LED lights are manufactured with the aim to provide sufficient and efficient lighting solutions on board, withstanding all the water conditions of seafaring boats. Our reliable and top quality LED lights are the best options for your boat, yacht or dinghy – high quality, durable, long lasting, waterproof, and energy saving. At iMarine LED, we are proud to serve our customers with quality products sold at the best prices. Our LED lights will not only save energy and battery expenses but are also sold at competitive prices – this way, we are providing a full economical and affordable solution when it comes to LED boat lights. 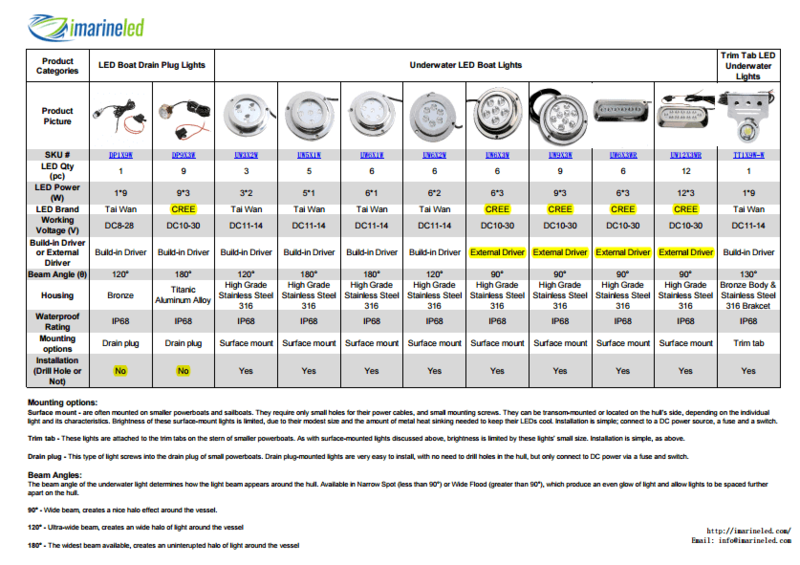 Our range of iMarine LED boat and yacht lights is extensive. We have LED lights available in various types and colors, catering to the preference of our customers. iMarine LED is passionate about serving the marine industry. We are extremely knowledgeable about this field and are always striving to provide solutions that make a positive impact on the industry. We are proud to feature a product range that is ecological and cost-effective. Browse our range ecological LED lights for boats today. You can find a good variety to choose from for your boat, yacht, or dinghy. For any questions, contact us today.